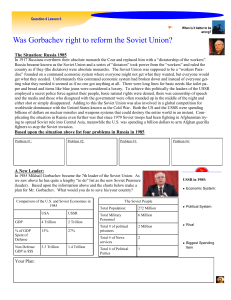 Was Gorbachev right to reform the Soviet Union? 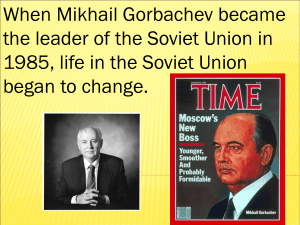 The Revolutions of 1989 were part of a revolutionary wave that resulted in the Fall of Communism in the Communist states of Central and Eastern Europe and beyond. 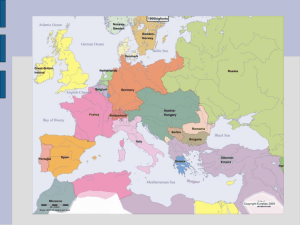 The period is sometimes called the Autumn of Nations, a play on the term ""Springtime of Nations"" sometimes used to describe the Revolutions of 1848.The events began in Poland in 1989, and continued in Hungary, East Germany, Bulgaria, Czechoslovakia, and Romania. One feature common to most of these developments was the extensive use of campaigns of civil resistance demonstrating popular opposition to the continuation of one-party rule and contributing to the pressure for change. Romania was the only Eastern Bloc country whose people overthrew its Communist regime violently; however, in Romania itself and in some other places, there was some violence inflicted by the regime upon the population. The Tiananmen Square protests of 1989 failed to stimulate major political changes in China. However, powerful images of courageous defiance during that protest helped to spark a precipitation of events in other parts of the globe. The same day June 4, Solidarity won an overwhelming victory in a partially free election in Poland leading to the peaceful fall of Communism in that country in the summer of 1989. Hungary physically dismantled its section of the Iron Curtain leading to a mass exodus of East Germans through Hungary and destabilizing East Germany. This would lead to mass demonstrations in cities such as Leipzig and subsequently to the fall of the Berlin Wall, which served as the symbolic gateway to German reunification in 1990.The Soviet Union was dissolved by the end of 1991, resulting in 14 countries (Armenia, Azerbaijan, Belarus, Estonia, Georgia, Kazakhstan, Kyrgyzstan, Latvia, Lithuania, Moldova, Tajikistan, Turkmenistan, Ukraine, and Uzbekistan) declaring their independence from the Soviet Union in the course of the years 1990-91 and the bulk of the country being succeeded by Russia in December 1991. Communism was abandoned in Albania and Yugoslavia between 1990 and 1992, the latter country having split into five successor states by 1992: Bosnia and Herzegovina, Croatia, Macedonia, Slovenia, and the Federal Republic of Yugoslavia (later renamed Serbia and Montenegro, and later still split into two states, Serbia and Montenegro). Serbia was then further split with the breakaway of the partially recognized state of Kosovo. Czechoslovakia too was dissolved three years after the end of communist rule, splitting peacefully into the Czech Republic and Slovakia in 1992. The impact was felt in dozens of Socialist countries. 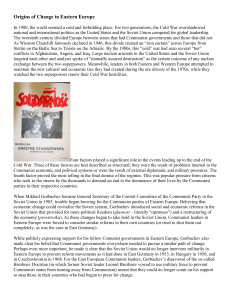 Communism was abandoned in countries such as Cambodia, Ethiopia, Mongolia, and South Yemen. 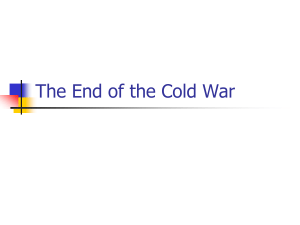 The collapse of Communism (and of the Soviet Union) led commentators to declare the end of the Cold War.In the years immediately following 1989, the fall of Apartheid system, the end of Chilean Military Dictatorship, the democratization of Ghana and Suriname, the fall of communist party in Italy and San Marino, and the renewal of the Italian political class were recorded.During the adoption of varying forms of market economy there was initially a general decline in living standards. Political reforms were varied but in only five countries were Communist institutions able to keep for themselves a monopoly on power: China, Cuba, North Korea, Laos, and Vietnam. 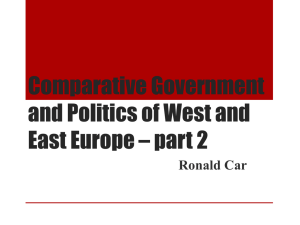 Many Communist and Socialist organisations in the West turned their guiding principles over to social democracy. 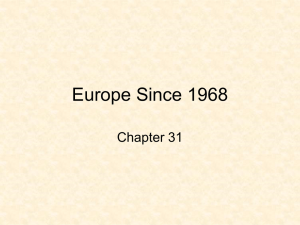 The European political landscape was drastically changed, with numerous Eastern Bloc countries joining NATO and stronger European economic and social integration entailed.